The Chamber will contain 380ml of Liquid soap or shampoo, with a push of the button 0.77ml of product is dispensed for use. This product is the single tall dispenser. The container has a smart appearance and are wall mounted, meaning clutter and bottles are no longer required. 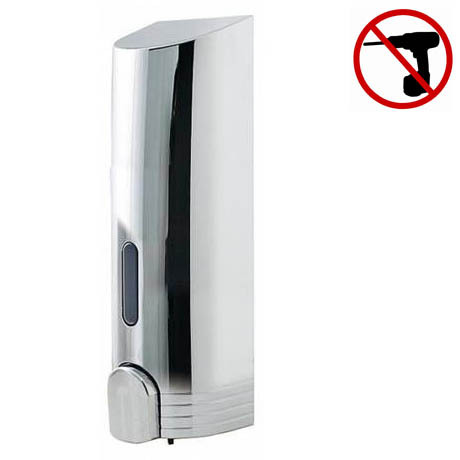 Hi, this Euroshowers Single Liquid Dispenser is 240mm tall, 75mm wide and comes 85mm away from the wall. I hope this helps!